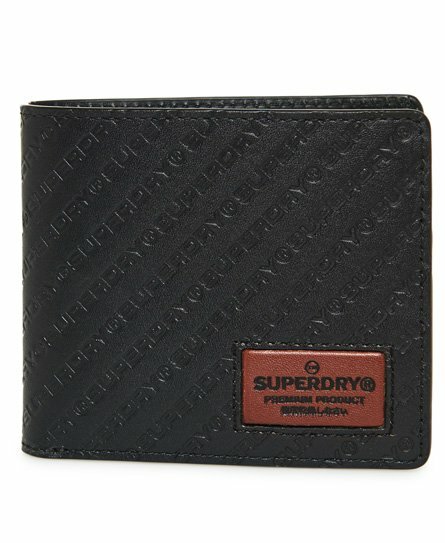 Superdry men’s Badgeman Wallet. Update your essentials with the Badgeman wallet, featuring a zip fastened coin pocket, a note compartment and six card slots. 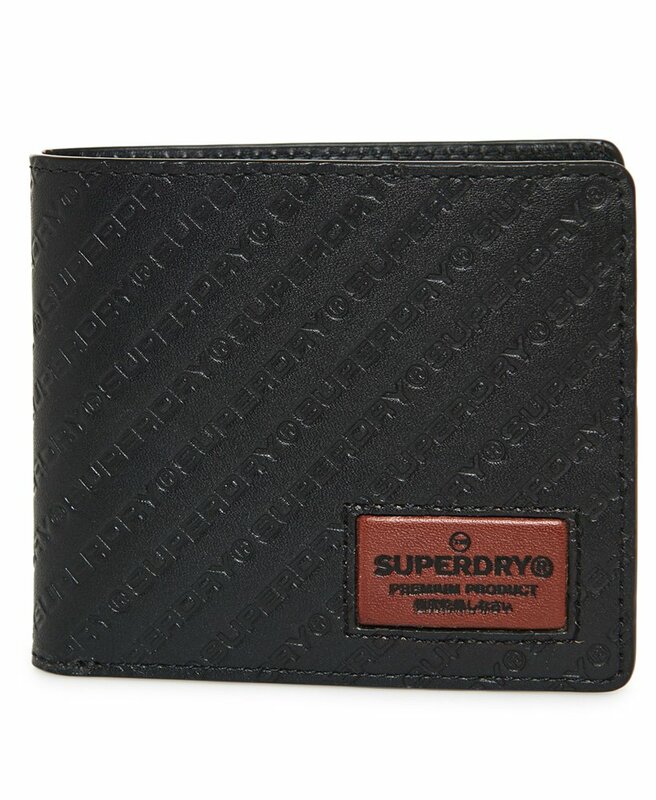 The wallet is finished with an all over embossed Superdry logo and a contrast colour Superdry logo badge on the front, all in a presentation tin making the perfect gift.